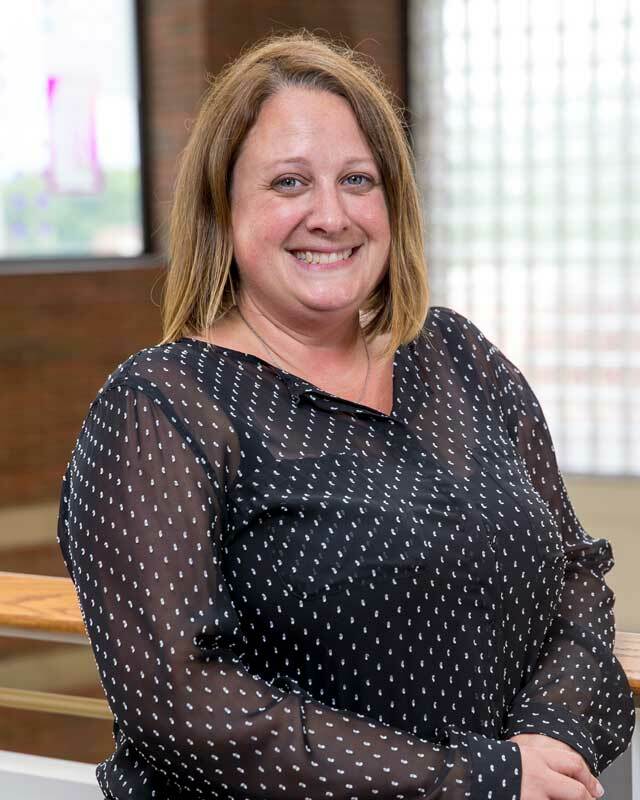 Dr. Sara Best joined the Huntington University faculty in 2015 with a teaching focus on pediatric occupational therapy. In June 2016, Sara took over the position of academic fieldwork coordinator of the OTD program, overseeing clinical placements for Level I and Level II fieldwork for all students. Her experience as a traveling therapist allows her to advise students who may not have much experience with traveling to best prepare for their experiences. Prior to becoming an OT, Sara worked in early childhood education with children ages birth-5 years. Sara has years of experience as a practicing occupational therapist, having worked in acute care, skilled nursing, pediatric outpatient, adult outpatient, and pediatric home health as a traveling therapist. Sara is a certified Autism Specialist, has presented at national conferences, and has collaborated on several articles that have been published in peer-reviewed journals. Sara has recently joined the AOTA’s AFWCC ad hoc committee to address student fieldwork issues. Sara and Dr. Reagan Bergstresser-Simpson continue to work hard to secure fieldwork placements that are personalized to students’ individual interests and needs, which has increased the number of affiliations and potential fieldwork sites to well over a thousand. Sara loves to travel, especially in the form of long road trips with her dog, who is a wonderful companion, if a terrible navigator. Sara enjoys hiking, swimming, kayaking, reading, crafting, and yoga, and is determined to enjoy cooking.